Between the 19th and the 21st of May, we are waiting for you at [email protected]! Come to melt with pleasure at the ice cream tasting in Gelateria Beldi. Flavors like Straciatella di Fichi, Cremino Variegato al Cioccolato, Pistacchio, Vaniglia, Limone e Menta, Mella Carota e Zenzero are waiting to delight your senses. Try them all and choose your favourites! We are melting the urban legends: 100% natural ice cream really does exist! The ice cream si made of fresh fruit, bio eggs and milk, is sweetened with stevia or it has a low sugar content. We are melting the prices: all ice cream is 50% off! The prices are 50% smaller during the promotion, so that you can take advantage of all the wonderful flavours. 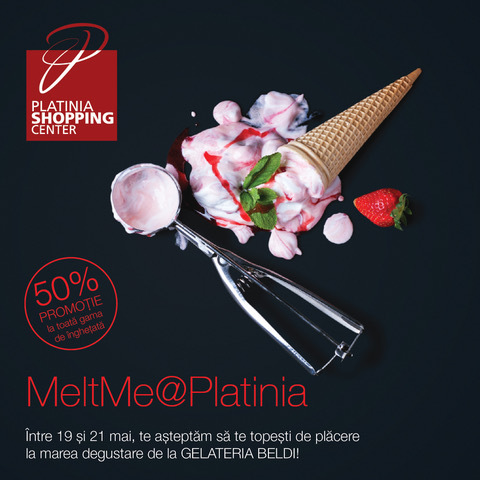 Melt with pleasure, between the 19th and the 21st of May, at [email protected]!